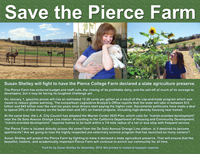 Join me in the effort to have the farm at Pierce College in Woodland Hills declared a State Agriculture Preserve. Starting January 1, California’s cap-and-trade law will add 12 to 20 cents per gallon to the price of gasoline, generating tens of billions of dollars. Sacramento politicians just passed a budget that earmarks 25% of that money for the bullet train and 35% for projects including high-density housing near transit stations. At the same time, the Los Angeles City Council’s latest plan for Warner Center calls for “transit-oriented development” and “new residential opportunities” served by the De Soto Avenue Orange Line station. The Pierce Farm is located at Victory and De Soto, directly across the street from the De Soto Avenue Orange Line station. If the farm is sold off, it could become high-density apartment buildings. We can prevent this from happening. Let’s act now to preserve the Pierce Farm. Download and sign the petition. These petitions will be collected by the Susan Shelley for Assembly campaign and presented to the Agriculture Department of Pierce College to help in their efforts to secure the designation of State Agriculture Preserve. 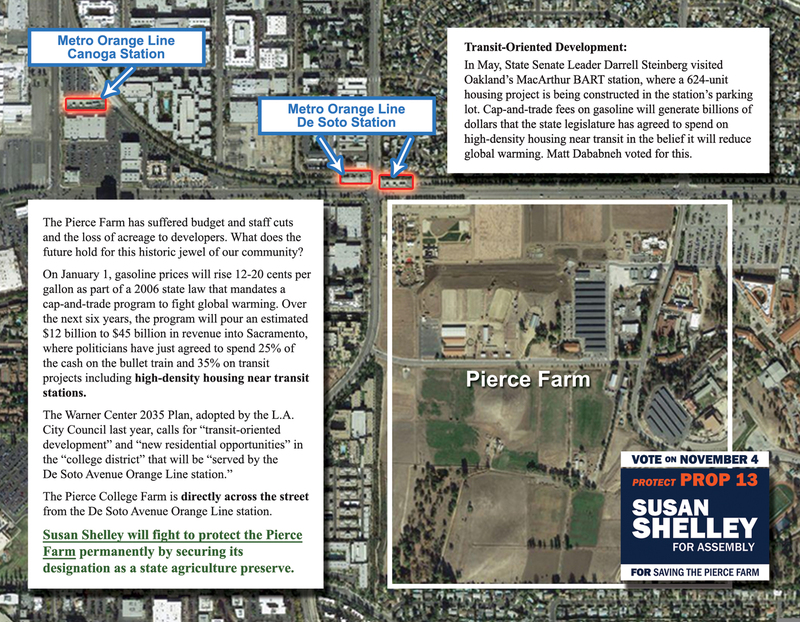 Help us demonstrate the deep level of support in our community for the preservation of the Pierce Farm. 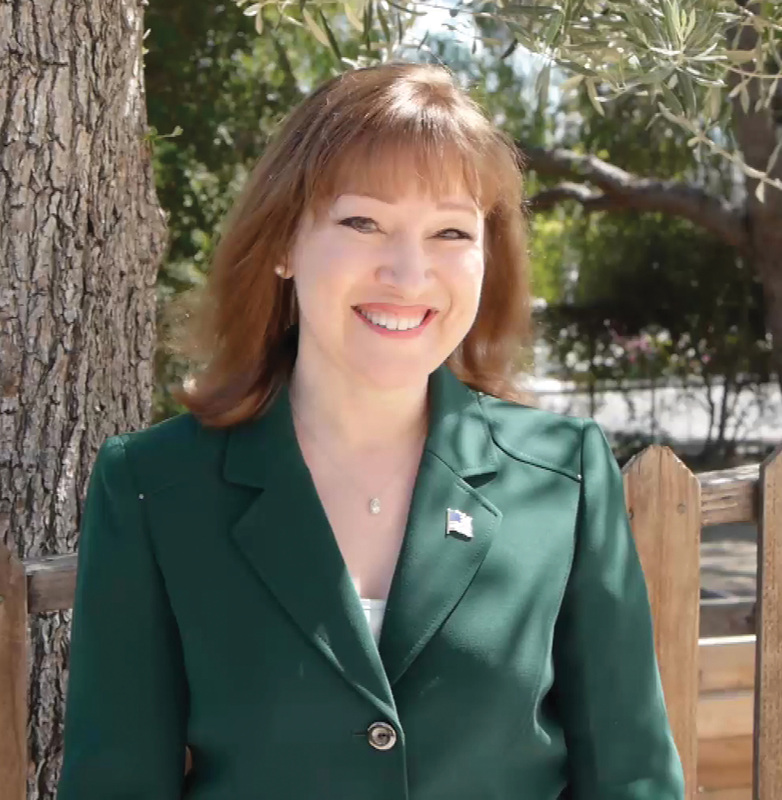 As your representative in Sacramento, I'll fight for Pierce College and for the Pierce Farm, but we have to act now. There's no time to lose. Click here to read a news story about the closing of the Pierce Farm Center. by designating it a state agriculture preserve. Download a copy of this flyer by clicking the image below.